High-efficiency IPM motor | Energy-saving technology of Daikin | Daikin Industries, Ltd.
DAIKIN’s innovative IPM motors are the key technology to energy-saving in air conditioners with over one million installations. This same unique technology has been adapted to oil hydraulic equipment. “Double Torque, power of rotations” improves the energy saving effect. 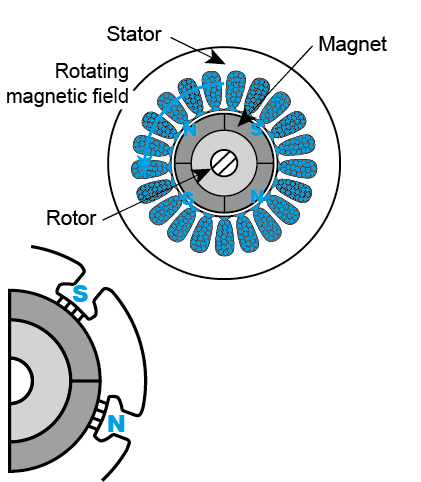 The combination of two rotating forces of the ever potent neodymium “magnet torque” and DAIKIN original “Reluctance torque”, elevated power can be generated at lower electricity. 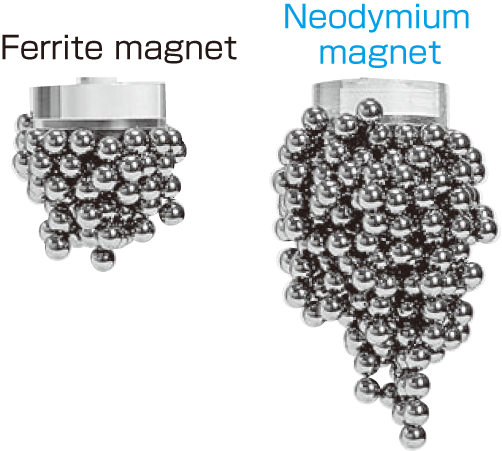 The neodymium magnet has a much stronger power than the popular ferrite magnet. 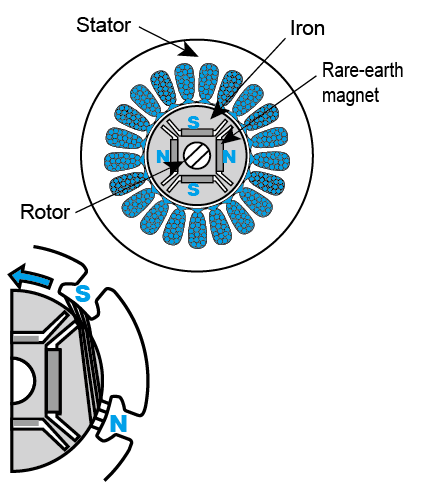 A rare-earth permanent magnet deeply positioned in the rotor can generate magnet torque (attraction/repellence between coil and permanent magnet) and reluctance torque (coil attracts iron) greatly. This electromagnetic structure attains high torque and the highest efficiency/low heat generation. The lengths of the magnetic field lines at the south and north poles are equivalent. Therefore, no reluctance torque that results in rotational force is generated. Since the magnetic field lines at the south pole side are made longer than those at the north pole side, the magnetic field lines at the south pole will try to shorten like a stretched rubber band contracts, resulting in rotational force due to reluctance torque in the direction indicated by arrow. 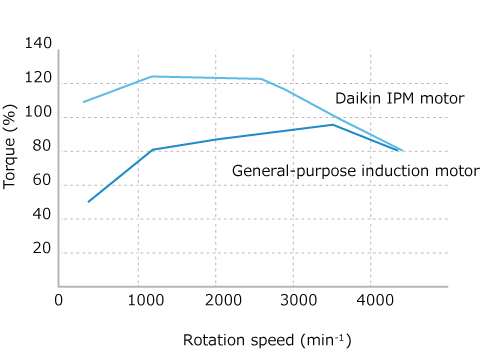 Daikin IPM motor efficiency is much higher than that of an induction motor. Daikin IPM motor produces high torque at low speed. 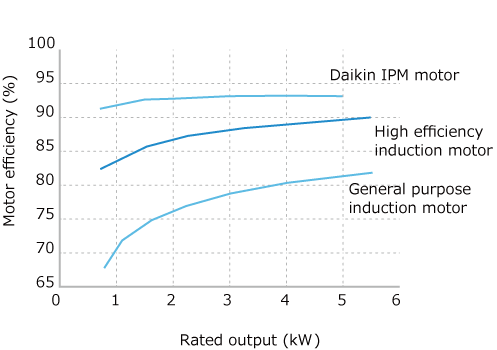 During general use, an inverter type may at times have limited torque at low speed range; Daikin IPM motor is free of such a problematic occurrence. What is the key for the energy-saving effect improvement?